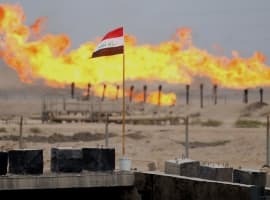 Iraq’s oil production could begin to rise after a tentative deal was agreed to by the Kurdish Regional Government and the central government in Baghdad. 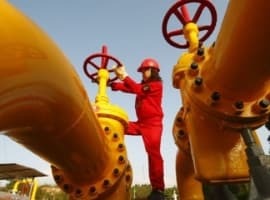 The two sides reached an accord that is expected to lead to the restart of oil flows through a Kurdish pipeline to Turkey, which has been shut down since last summer. "It was agreed with the Kurdish side to start exporting oil from Kirkuk," Prime Minister Haider al-Abadi said on Tuesday. The standoff has been intractable for quite a while. 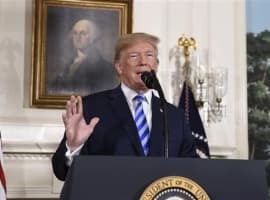 Baghdad demands that oil exported to Turkey – and on to the global market via the Turkish Mediterranean port in Ceyhan – do so under the auspices of the Iraqi government. After an Iraqi oil pipeline to Turkey was damaged years ago by ISIS, however, the Kurds built their own pipeline and exported oil on their own. The dispute between the Kurds and the Iraqi government reached a climax last year when Kurdistan declared independence in September, a move that was quickly followed by an incursion by Iraqi troops to retake Kirkuk and its oil fields. Exports from Kurdistan are down to about 300,000 bpd, about half from a year ago, according to S&P Global Platts. Meanwhile, the Iraqi government is seeking guarantees from Turkey that once the oil is transported out of Iraq and across Turkey to the port of Ceyhan, that the oil would be delivered into the hands of the Iraqi state-owned oil marketing company, SOMO. Still, that issue will take time to get sorted out. Over the longer-term, Iraq wants to fix and restart its damaged pipeline to Turkey, which could eventually handle 250,000 to 400,000 bpd of exports, Iraqi oil minister Jabbar al-Luaibi said, according to S&P Global Platts. In the meantime, Iraq is still party to the OPEC cuts, and it has agree to limit output to 4.351 million barrels per day. Iraq seems to be producing in excess of that amount by about 84,000 bpd, according to OPEC’s secondary sources in January. The Iraqi government insists output is a little less than that. Either way, Iraq is doing a decent job of sticking with the rest of OPEC to maintain high levels of compliance. Any negotiation with Kurdistan would need to be interpreted in that context. A top official from Iraq’s oil minister told the Wall Street Journal that the country would delay its goal of reaching 5 million barrels per day of production capacity by a year, in an effort to maintain good standing with the OPEC agreement. Instead of hitting that target this year, Abdulmahdy al-Ameedi, director general of oil contracts and licensing at Iraq’s oil ministry said that Iraq would reach that level in 2019. With an eye on the future, Iraq’s oil minister is in Berlin this week, trying to drum up investment in Iraq’s oil sector as it seeks to rebound after years of war with ISIS militants.